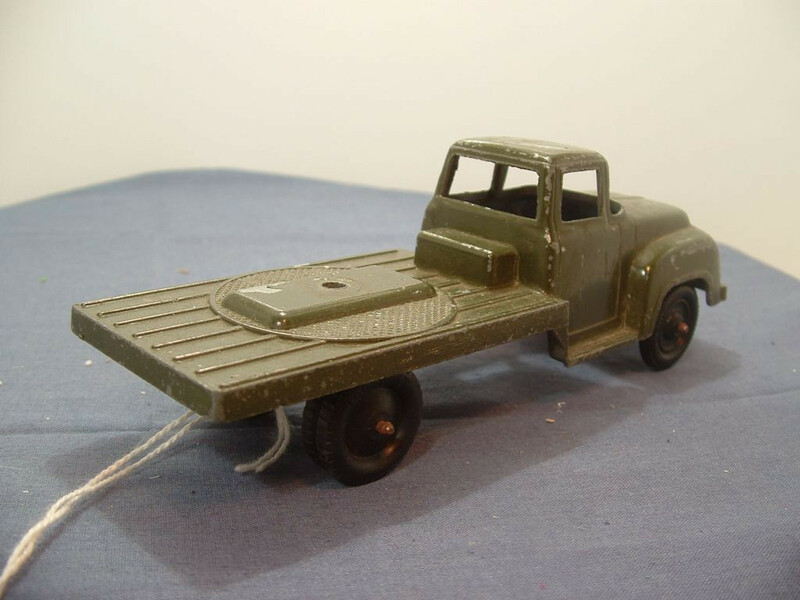 This is the Tootsietoy Military Series Ford F700 Truck issued in 1956 in Olive. This model is 6 inches long. This is a one piece casting with all detail such as bumpers, lights, body lines and trim, etc. cast into the metal. It is missing whatever load it carried - commonly had radar dish in plastic or metal, Anti-aircraft guns (plastic or metal) and searchlight (metal) as the rear load. There is no glazing or base to the model. 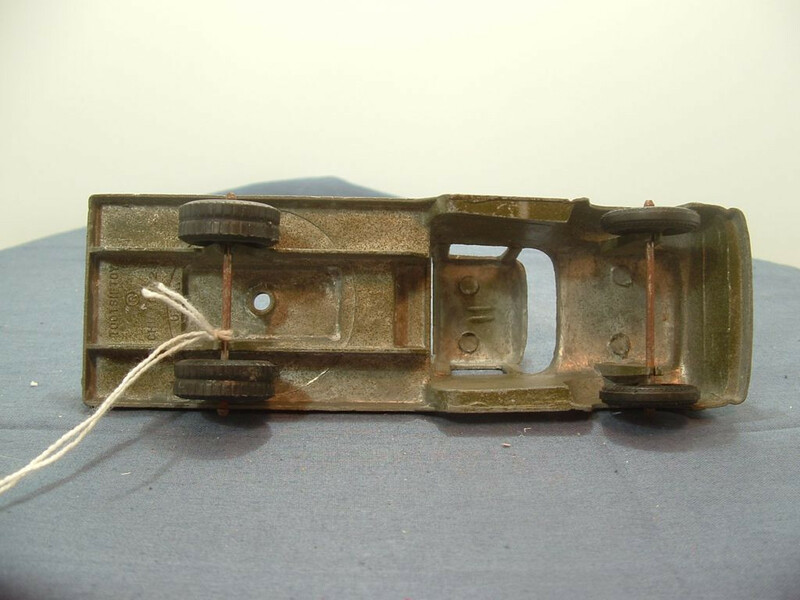 On the under-side the model carries the legend "Tootsietoy, ®:, Chigago 24, U.S.A." cast on 4 lines under the rear of the rear body area. All wheels are of the solid black plastic hub and tyre type. The domed head axles pass through the wheels and are domed on both sides of this model. The steel axles are held in place by being pinch clamped to columns protruding from the underside of the casting. 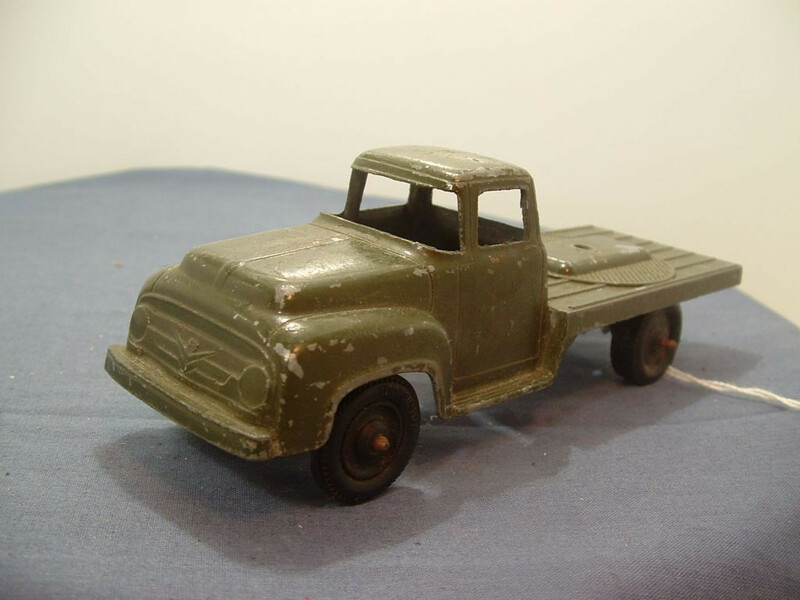 This model was issued in 1956. It has an estimated scale of 1:50.